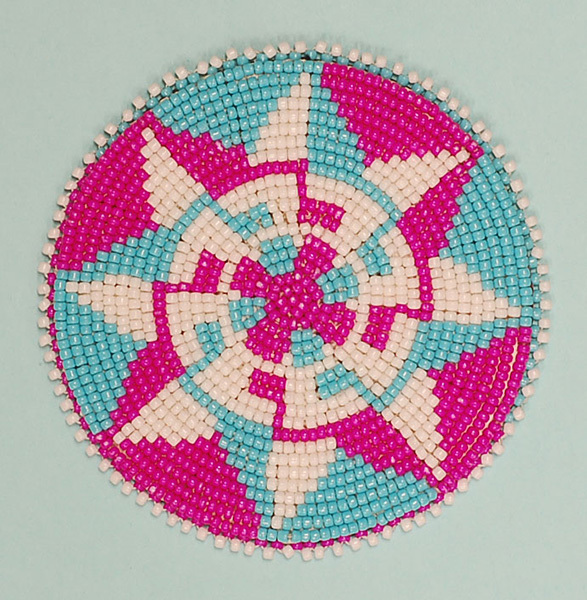 In this fun class, you will be taught a 2-needle couching technique while laying beads within a flat circular pattern to make your wonderful medallion. Leather will be provided by the teacher. Aaron will discuss in class how to add a strap at home to make your medallion into a necklace. This class is suitable for all skill levels.